Wall Street watchdogs have picked a bad time to lose a case. Rengan Rajaratnam, brother of convicted Galleon Group founder Raj, was acquitted on Tuesday of insider trading. The nation’s lawmakers, meanwhile, have been thumbing their noses at a Securities and Exchange Commission probe of their stock trades. The cases are unrelated, but appearances matter on Capitol Hill. If enforcers look like they’re overreaching, they can expect even more pushback from Congress. The case against Rengan Rajaratnam was shaky from the start. All but one of the seven counts involving trades in Clearwire and Advanced Micro Devices stock had earlier been dropped for lack of evidence. The jury made quick work of the remaining conspiracy charge. The verdict ends the New York U.S. attorney’s streak of 85 insider-trading convictions or guilty pleas, a roll that rocked Wall Street and helped propel passage of a ban on congressional insider trades. 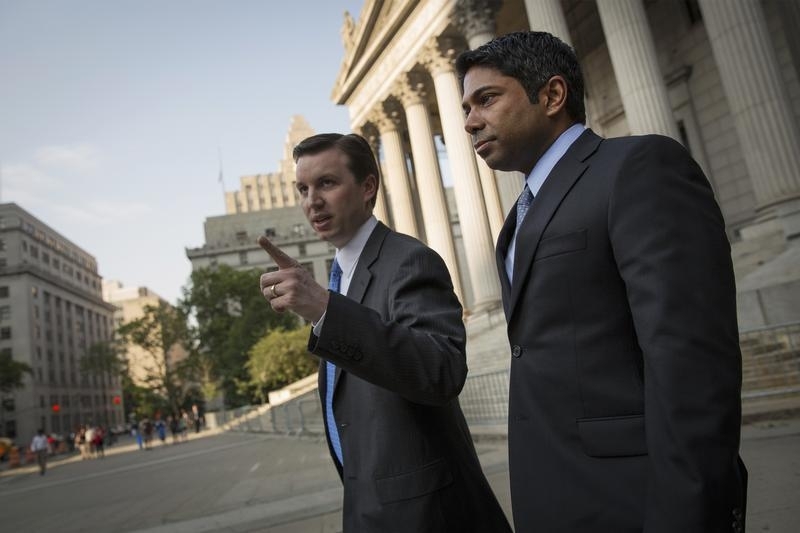 And prosecutors may be in for more bad news, as a federal appeals court seems likely to overturn the convictions of two hedge fund traders because of faulty jury instructions. The government has been nearly invincible for so long in such cases that even the SEC provokes fear in insider-trading actions, despite recent high-profile setbacks. With some cases now looking like a stretch, though, targets will be emboldened to fight back. Congress, for example, was all for the Stop Trading on Congressional Knowledge Act in 2012. But when the SEC had the gall to investigate a House staffer’s leak of confidential information used in a lucrative trade, lawmakers balked. In a court filing last Friday, a House committee argued that, among other things, sovereign immunity protected it and the staffer from the commission’s prying eyes. Congressional members are arguing, in other words, that they are above the law. The STOCK Act won’t be easy to enforce, not least because senators and representatives can’t necessarily be legally blocked from sharing information with their constituents. That’s a far cry, however, from Congress’ extreme arguments. The risk now is that lawmakers will dig in. The Rajaratnam trial and the cases on appeal expose legal weaknesses that Congress can use to stonewall the SEC. The regulator will need every bit of Chair Mary Jo White’s steely resolve to fight back. A U.S jury has cleared Rengan Rajaratnam, the younger brother of convicted Galleon Group founder Raj Rajaratnam, of conspiring to engage in insider trading while at the hedge fund. The verdict, delivered on July 8, ends an 85-case winning streak on insider-trading cases by the U.S. attorney’s office in Manhattan.